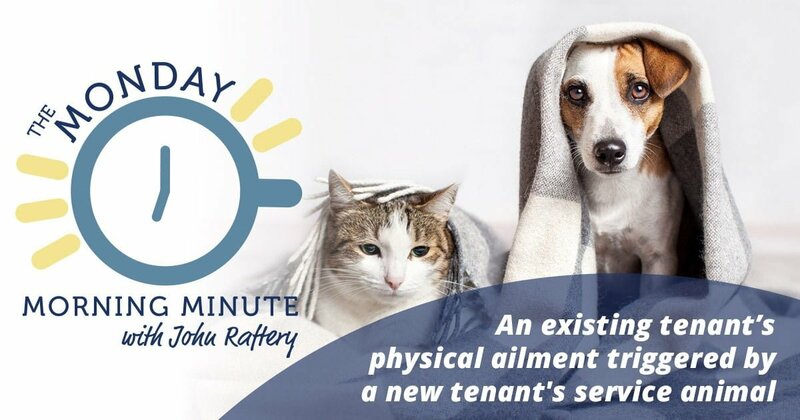 Posts by John Raftery, Esq. 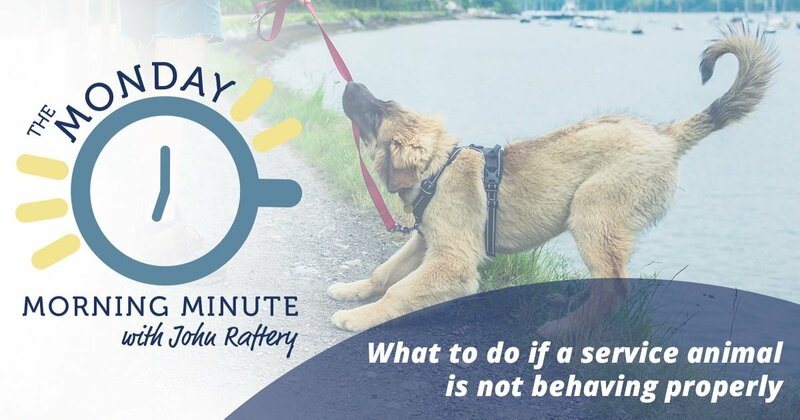 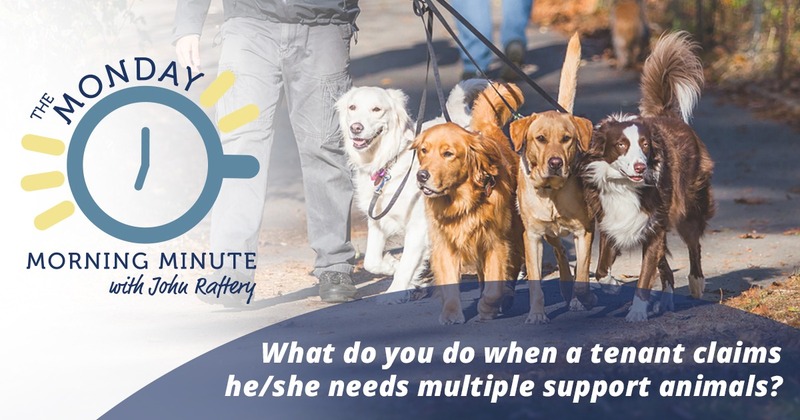 Monday Morning Minute: What to do if a service animal is not behaving properly? 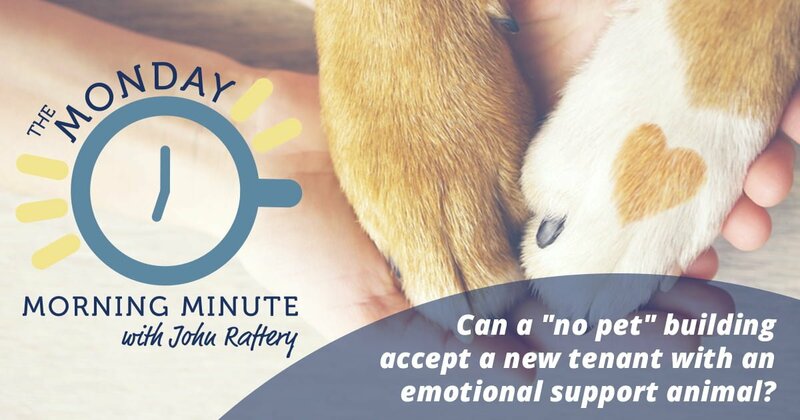 The Monday Morning Minute: Can a “no pet” building accept a new tenant with an emotional support animal? 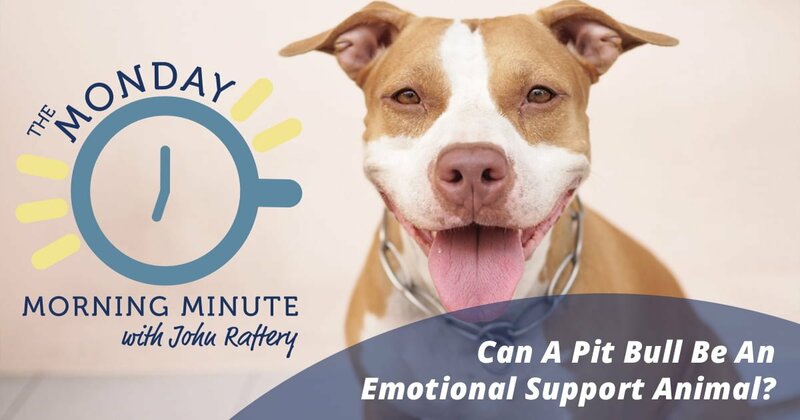 The Monday Morning Minute: Can a Pit Bull be an Emotional Support Animal?